Who wouldn’t freak out when coming across one of these things in your backyard? Well, you can be spared from your “freak out” because, as it turns out, they are not what they seem. 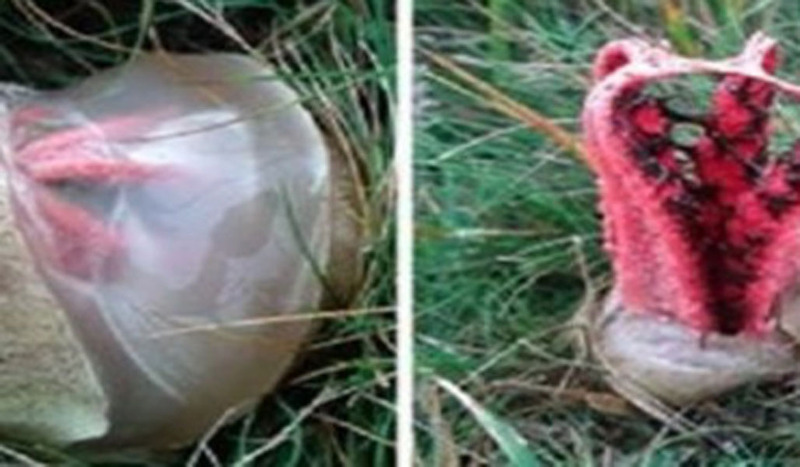 Clathrus archeri, or “Devil’s Fingers”, would seem to be something an alien dropped from a saucer. But it turns out they are not native to outer space, but native to Australia and New Zealand. They are also not small alien embryo’s, they are actually mushrooms! Phalloid fungus, specifically. They must look more “normal” when they hatch, right? Wrong! Now you see where the Devil’s Fingers nickname comes into play. Freaky! Check out this incredible footage of the actual hatching process that takes place with these things. It’s really hard to believe these are not alien related!